The Max Chroma HSB Color Layers Action will duplicate your current document, take a merged composite layer of your document, then convert from RGB to HSB Channels using Photoshop's built-in HSB filter, and then bring these channels over to new layers, switching back to RGB channels and showing the new document with 3 separate layers for Hue, Saturation, and Brightness -- in their original colors using blend modes to create the composite in RGB. 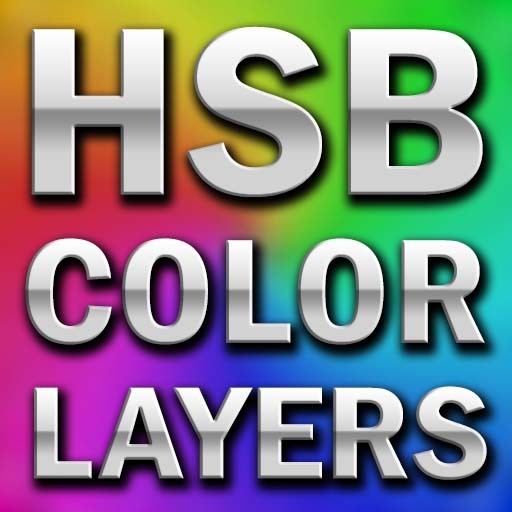 This action helps to make working on a document or layer in a simulated HSB Color Mode possible within Photoshop, fixing the confusing result of the built-in HSB Filter which incorrectly shows the HSB channels while still in RGB color mode. Now you can truly see what the Hue, Saturation, and Brightness look like when composited in RGB layers, allowing all the normal editing and adjustments that layers provide, showing in the correct colors. Purchase includes Video Tutorials related to the product which are also available on youtube, but included with your download so you can watch at any time offline. As more videos are produced for this particular product they will be added to the download. The Action has now been updated to 1.2 with an 8-bit version that works in Photoshop 7, and 16-bit versions for CS6 and above.